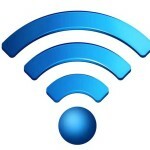 Generally the Wi-Fi connections are categorized as Open Wi-Fi and Closed Wi-Fi. The open Wi-Fi connections are the ones that do not have any kind of password protection on them while the closed Wi-Fi connections are the ones that are protected by the passwords. So make sure you change your Wi-Fi connection from open Wi-Fi to closed Wi-Fi. Open Wi-Fi connections can be easily manipulated by hackers to yield any kind of information. When it comes to putting password, there are a lot of encryption types like WPA, WEP, WPA-PSK etc. You can choose any one of these but I suggest you to use the WPA encryption. WPA encryption is comparatively more difficult to crack. Make sure when your Wi-Fi connection isn’t in work you turn it off. Turing off your Wi-Fi connection can also help you in reducing your electricity bill. If your Wi-Fi connection will stay switched on even when it’s not in use, anyone can crack it at any point of time. You cannot totally depend upon the WPA encryption so it’s advisable to use another encryption layer. You can use OpenSSH or any VPN program to provide an extra encryption layer for your Wi-Fi connection. In VPN programs, the data travels through a secured channel that’s really hard to penetrate. MAC filtering is necessary to protect your Wi-Fi connection. If your Wi-Fi has MAC filtering enabled the computers you choose will be able to connect to your Wi-Fi connection. This way you can protect your Wi-Fi connection from hackers. MAC filtering is also quite easy to put. Author’s Bio : This article is written by John Lewis. John Lewis is a Harvard University graduate who’s currently in the UK on internship. John loves to read books, XFM.co.uk and some other blogs that are region-centric. My Email Got Hacked – How to Recover it ?